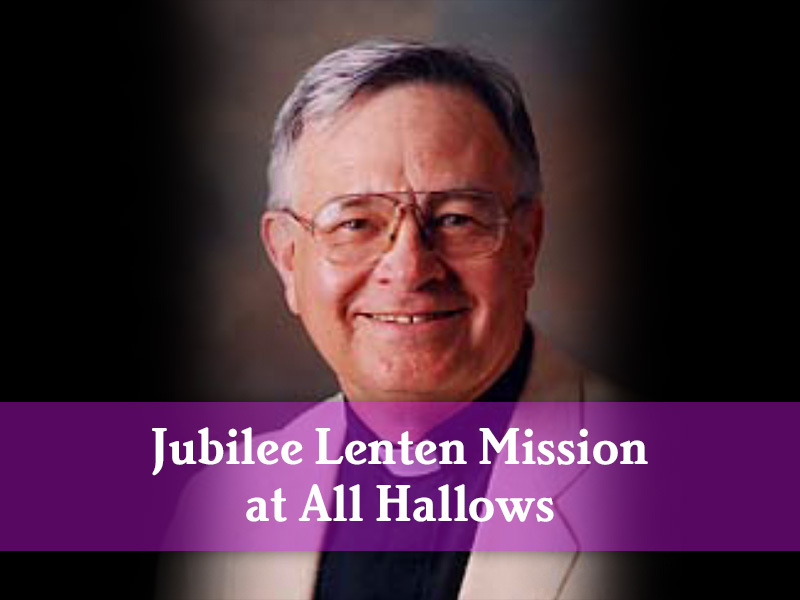 LA JOLLA — News — Parishioners and Friends of All Hallows Catholic Church in La Jolla are invited to the Jubilee Lenten Mission on April 9 and 10 with Father Jim Nisbet. Wonderful talks begin at 10 a.m. and 7 p.m. both days. Choose the time that’s best for you. Teaching Scripture is Fr. Jim Nisbet’s favorite ministry both at home in California and abroad. During his 40 years of parish ministry and continuing in his retirement, Fr. Jim teaches parishioners, prisoners, seminarians, and university students. A much requested speaker, he has brought his Scriptural insights, factual information, and humor to workshops and conferences on four continents. Students credit this popularity to his bringing Bible texts to life, making places, customs, and historical events real and their significance modern. Sharing his faith life helps students grow in their own. experience as a silkscreen artist. He presents the Bible as a book of visions, rather than a book of concepts, which opens new understanding for all.